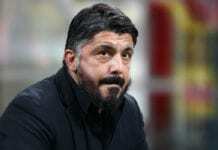 The Argentine striker is reportedly closing in on a loan move to Chelsea following a lacklustre start to life at Milan with just six goals in 15 Serie A appearances. In light of this, Milan boss Gennaro Gattuso opted to drop the unsettled Higuain from his matchday squad in their 2-0 win at Genoa. And Riccio remained composed while speaking to reporters after the game. “As for the transfer market we are all grown-ups, we know how to deal with these situations,” said Riccio, according to Gazzetta. 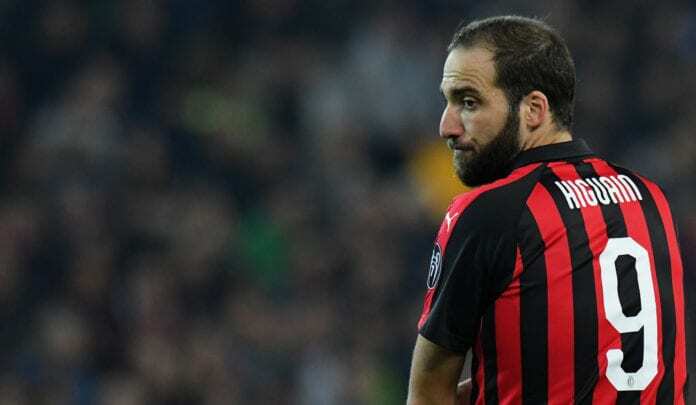 It’s understood that Chelsea boss Maurizio Sarri hopes to sign Higuain to provide some badly needed firepower in their attack and he’s hoping a deal can be sealed before Thursday’s Carabao Cup semi-final second leg against Tottenham at Stamford Bridge. However, for Higuain to be included in the squad for that game, EFL regulations state that the deal must be completed before Wednesday at 12 pm. The likelihood of a deal going through will hinge on Milan’s attempt to sign Genoa’s star striker Krzysztof Piatek with talks set to resume later today. The 23-year-old was suspended in Genoa’s 2-0 defeat to Milan on Monday after goals from Fabio Borini and Suso sealed the points. The Rossoneri are now back in the top-four of the Serie A and will next face second-placed side Napoli on Saturday at the San Siro.